Episode 38: Navajos, Barracudas, Brain Age and More! Share: Episode 38: Navajos, Barracudas, Brain Age and More! Episode 37: Webby's, Border Security, Burger King & More! Share: Episode 37: Webby's, Border Security, Burger King & More! Episode 35: Free Wi-Fi, Studio Red and a Bale of Turtles. Share: Episode 35: Free Wi-Fi, Studio Red and a Bale of Turtles. Episode 34: DRM, Alienware, Oblivion and More! Share: Episode 34: DRM, Alienware, Oblivion and More! Episode 33: Buy It Now, Bullies Online, Starforce and More! Share: Episode 33: Buy It Now, Bullies Online, Starforce and More! Episode 32: AIM, AJAX, AOL, Oscar, Origami and Other Vowel Words! Share: Episode 32: AIM, AJAX, AOL, Oscar, Origami and Other Vowel Words! Episode 31: Blog Phones, Game Ratings and More! Share: Episode 31: Blog Phones, Game Ratings and More! Episode 30: Mac Attack, Eight Vistas and More. Share: Episode 30: Mac Attack, Eight Vistas and More. Episode 28: Microsoft vs. the EU, Second Life and More! Share: Episode 28: Microsoft vs. the EU, Second Life and More! Episode 27: IE7, Taxes, WoW and More! Share: Episode 27: IE7, Taxes, WoW and More! Episode 19: Piracy, Security Risks and a Really Hot xBox! Share: Episode 19: Piracy, Security Risks and a Really Hot xBox! Episode 18: DVDs, the ESRB, PC VS. Console Games and More! Share: Episode 18: DVDs, the ESRB, PC VS. Console Games and More! Episode 17: Mobile Music, Mobile TV and More! Share: Episode 17: Mobile Music, Mobile TV and More! Episode 14: RFID Chips in Passports, Sony Rootkit Installation, Mac OS X Update & Civilization 4 Review. Share: Episode 14: RFID Chips in Passports, Sony Rootkit Installation, Mac OS X Update & Civilization 4 Review. Episode 13: US Computer Trash Exported, Control of the Internet, and LOTS of Game News! Share: Episode 13: US Computer Trash Exported, Control of the Internet, and LOTS of Game News! Episode 10: Maya and 3D Studio living together and more! Share: Episode 10: Maya and 3D Studio living together and more! 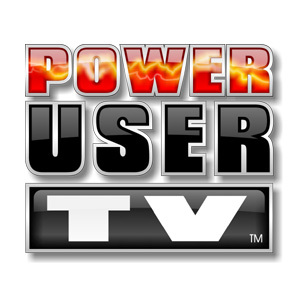 Topics of interest for tech power users.